Meter Details Read your meter and pictures of meter / backflow installations. What are the business hours for billing questions? Monday through Friday, from 8:00 AM until 5:00 PM (closed on Holidays and weekends). Night Drop, anytime. The property owners in the franchised service area of Pierce County that is in the general Summit/Waller area who have chosen to use the services of the corporation. It is a Not-for Profit corporation, "Group A" water system. The corporation is governed by the articles of incorporation and the By-Laws of the corporation. Methods for making payment for water service? Payments may be made in person at the Summit Water office, or by cash, check or money order in the self-addressed return envelope with your statement, that you can drop in the mail. In addition, for your convenience, you may also drop your payment in the drop box at the entrance to our office, or in the mail slot on the left-hand side of the office door. What about direct payment from my bank? Yes, ACH payment from your bank may be applied for in Summit Water's office. What about credit card payment? Yes, major credit card payment, (Visa, Mastercard) can be used in the office with proper identification. What is a UNIT on my bill? One (1) unit is 100 cubic feet, which is 748 gallons. I.E. one cubic foot is 7.48 gallons. If you are looking at your meter, one revolution of the sweep hand (looks like a second hand on a clock) is one cubic foot or 7.48 gallons. Do you bill monthly for water service? Residential and small commercial class customers are billed every two months (bi-monthly). Larger commercial and irrigation customers are billed monthly. What are the charges for water service? Customers are charged based on the class of customer, the meter size, and the amount of water measured through the meter (Go to the "Doing Business with Summit" and then to the "Rates & Billing" web page for details. Why is the property owner responsible for the billing on a water service? The services of Summit Water, to be in compliance with IRS regulations, are only provided to its members. Summit will send a bill to the tenant or occupant of a members property as a convenience to the member. We do not take deposits toward a water service bill. The by-laws of the Company state it is the member's responsibility for all services provide and for damage caused by the occupant of a property. Will Summit Water bill tenants? Summit will bill the service address or the member, based upon a request by the member. A change on the account may only occur at a request by the member. The member is still responsible for the bill. You may not have one, not all homes do. If you have one it may be located, in the garage, or directly outside the house (possibly buried inline with your outside hose faucet) and the meter box. It could also be located in the basement or a hallway closet. We hope you are checking ahead of time and not during an emergency! In the eastern part of the U.S. the meter is located in the basement. Where is my meter located? It varies. Most of the time it is in line with an outside hose bib. Normally it is located about 3 feet inside the property from the right-of-way line. Sometimes they are installed on easements next to the property. Our weather does not get that cold that the meter must be located indoors. We do not open the meter box if the temperature gets below freezing for any period of time. I want to know how much water I use in a day, how do I read my meter? The meters are digital. Just read them left to right. Read all the same colored numbers and you'll have the read. Some are three digit reads and some are four digit reads. There is also a sweep hand, and one time around is equal to 7.48 gallons. The small triangular hand is know as a "leak" or flow detector, and will move even for a minute volume of water flow. Can I turn the water off at the meter, I need to change my faucet valve? We will do it for you since the shut off valve is ours. Presently we do not charge for this service during our regular business hours. You should have a shut-off valve between the meter and your faucet valve. Please give us a call for assistance. Turn off all water connections inside and outside the house. Check for any flow in the toilet bowl. Then go out to the water meter and check to see if the "leak" flow detector is rotating (usually a small triangular shaped hand or pointer). If it is rotating slowly, you may have a small leak. If it is rotating fast, then go to the next step. Look at the sweep hand, is moving? If it is you may have a leak. If it is moving constantly, you can place something as a reference, or just pick a spot on the outside dial, and time with a watch that shows "seconds", and time how long it takes to do a few revolutions. One revolution is equal to 7.48 gallons. Hint, if it starts and stops over a period of time, it just may be the toilet flapper. We have dye tablets here at the office, that you may have. You left a note that suggests I may have a leak. I don't know of anything that is leaking. Where do I start? We can check for you at the meter when someone is present at the home or business. If you want to look for yourself, Go to the section on HOW do I check for a leak. I can hear water running in the house, but I don't see any leak, what's the problem? Check your toilet tank flapper valve. The material used for the flapper on some toilets gets soft and changes shape, allowing the water to seep slowly into the bowl. The noise may be caused by the slow flow through the tank refill valve. Check the "leak" flow detector on your water meter. I must have my water shut off out at the road, and the office is closed. Now what can I do? Please give us a call at 537-7781, listen to the menu for the number of the on call person for after hours, weekends and holidays. My pipes are making a banging noise that I haven't heard. Did you do something? It could be that the expansion risers (hammer arresters) on the pipes going to the fixture have filled with water over time. When a valve is operated quickly, such as a lever type faucet, a dishwasher or washing machine solenoid valve, then "water hammer" or a shockwave is setup and moves the pipes. If we have replaced the service during a water main replacement project, or a service replacement and there was not a check valve at the meter, then there could be the banging noise. All residences, by plumbing code, must have a pressure tank located on the cold water side of the hot water tank. The problem could be ours. Give us a call and we can check our system first. You can check the items we have mentioned above, prior to calling us, so that we can try and trace the problem ASAP. What is required by Summit Water if I want to install an irrigation system in my yard? Summit Water does not require a permit, but you must file with Summit Water a certified backflow report. The backflow assembly must be installed according to the policies of Summit Water. See policy 6.19 for existing services. There may be permits required by the Pierce County Buildings Division. What are the business hours for new construction or project questions? The business hours are 8:00AM to 4:30PM, Monday through Friday. There is voice mail, fax and e-mail for after hours. Who do I contact if I want to dig on my property, and it is out near the roadway or near a property line? Call the Utilities Underground Location Center at 1-800-424-5555. Other utilities are buried on your property besides water so it is a good idea to always call this number to just be sure. If you damage a utility you could be responsible for the repairs. We have a series of wells that draw water from underground aquifers located in the Clover-Chambers and Puyallup River basins. We have nine wells located in our service area. All the wells are classified by the Department of Ecology as "deep wells". How much water can go through my meter? It varies, most meters for residential properties are 5/8" depending on the available pressure, the size and length of pipe from the meter to where you are using the water, the flow at the meter may be between 10 and 20 gallons per minute (gpm). We can perform a flow test at the meter if it appears that insufficient flow exists. Where do I find out what is in the water? We add chlorine and sodium hydroxide (caustic soda) as directed by the EPA, through the State of Washington Department of Health. There are other minerals, and contaminants which are both regulated and unregulated by the EPA and the State. The information is available in the CCR, and on file in the office of Summit Water and also filed by the testing laboratory directly with the EPA and State for testing required by the regulators. Who performs the tests for water quality and how often? We take water samples from 29 sites from representative points throughout the distribution system daily and weekly for chlorine residuals, and pH adjustment. There are also 15 samples taken each month to test for bacteria that are tested at an independent laboratory. In addition there are a number of test taken annually or within a designated 3- year period for various mineral, and chemical compounds. Further information is available at the EPA and DOH websites. What is my water pressure, and is it always the same? It varies. If you are near our storage tanks, the pressure will be between 45 and 55 psi. As you move toward the Puyallup Valley (dropping in elevation), the pressure rises, and may range from 45 to 180 psi. The minimum pressure allowed by DOH. is 30 psi, unless there is fire flow condition, then it must be a positive pressure. Pressure reduction valves (PRV's) are required on new construction, remodels and replacement of customer service line where water pressure may exceed 80 psi. Nearly half of Summit Water's service area falls within this 80 psi thershold. Chlorine is added to our water at .3 ppm (parts per million). The chlorine is added for the protection of the drinking water if the water main is broken or the water system was to lose pressure and foreign materials were to get into the water main. Sodium Hydroxide (caustic soda) is added and changes the pH (Acidity) of the water to a range between 7.2 - 7.8 pH. This is at the direction of the EPA with the intent to reduce the level copper and lead that is leached from the household plumbing. No Fluoride is added to our water. The abbreviation mg/l stands for milligrams per liter. In metric units this is the weight of a chemical (chlorine or fluoride as an example) dissolved in liter of water. Note: parts per million; One part per million is the equivalent of ½ of a dissolved aspirin tablet in a full bathtub of water (approximately 50 gallons). How do I find out if a backflow assembly is approved or not? be replaced if the assembly fails the test. Go to Summit Backflow Assembly Summary Sheet. Why do you flush water out onto the ground, isn't there a shortage of water? We flush the water system for a number of reasons, including the removal of material that is deposited from pumping the wells, naturally developing growths in the water mains, and freshening the water after periods of low usage. We limit the amount of flushing because of the shortage of water available. Will anything happen if I use water when you are flushing the water main? No, but you will notice a drop in pressure, If you know we are flushing, then it is best not to use water since it is possible to draw some of the material that we are attempting to flush out of the water main to be flushed into your water pipes and strainers. There are screens in the meter service, but they do not catch the small materials. If we are flushing due to a water main repair, or the addition of new water main facilities, we attempt to shut-off the services in the area. Can I fill my swimming pool from a hydrant? Why should I have a "pressure Tank"? A pressure tank protect the household plumbing and fixtures from pressure surges that may occur due to the sudden shutting off of water by solenoid valve operation such as dishwashers, washing machines, lever operated faucets, or the rapid closing of a valve or hydrant out on the water distribution system. They have been required by the Pierce County Plumbing Code since the early 1990s.. Summit Water is a membership owned company. Summit Water is responsible for the water mains and infrastructure which provide potable water to the water meter. The responsibility for Summit Water ends at the meter. Most of the infrastructure is located in the Pierce County Right-of-Way. A small percentage of the infrastructure is installed on easements on private property outside of the Pierce County Right-of-Way. 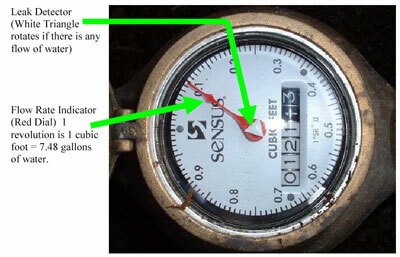 The pipe downstream of the meter is the responsibility of the property owner. A back flow assembly is required to be installed on all new water services and any water service which is upgrading the pipes from the meter, or a change of use inside the residence or commercial property. Eventually every service tap on the Summit Water infrastructure will be protected by the installation of back flow assemblies. These back flow assemblies are the responsibility of the property owner to maintain and test annually. Also provide the results of the annual test to the Summit Water office. No connection to the service is permitted between the downstream (user's), side of the meter and the input side of the back flow assembly.